Home / Important Day / World Consumer Rights Day Celebrated with the Theme of "Trusted Smart Products"
World Consumer Rights Day Celebrated with the Theme of "Trusted Smart Products"
March 15 every year is celebrated as World Consumer Rights Day. The theme of the World Consumer Rights Day 2019 is "Trusted Smart Products". The genesis of the World Consumer Rights Day can be traced to the special message to the US Congress on 15th March 1962 by President John F Kennedy. The special message was probably the first formal address about consumer rights by a World Leader. The first World Consumer Rights Day was celebrated at 1983 and since then every year March 15 is celebrated as World Consumer Rights Day. World Consumer Rights Day aims to highlight that rights of all consumers are respected and protected and to protest against market abuses and social injustices which undermine those rights. Q. 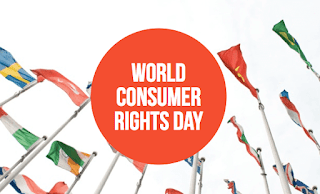 When is the World Consumer Rights Day celebrated?